Just a quick shout out that ProCamera for the iPhone is on sale right now. The developers state that it is for the World Wide Developers Conference, which I don’t know if it mean in advance of the Monday kick off or through to the end of the event. So, if you have been thinking about grabbing ProCamera since I last reviewed in, now might be a good time. Refresher on ProCamera. It is the app that lets you quickly get to fine tuning adjustments during the actual photography step. You can split your focus and exposure key points via a simple draggable square/circle interface. You can quickly jump to an enhanced zoom and anti shake setting so you can get ultra close ups. And, amongst many more camera features, you can zip off a bunch of photos in high speed via the Burst option. When you have the photo taken, ProCamera has a wide variety of fine tuning tools to get the most out of the images prior to saving to the iPhone’s camera role or sharing out through your favorite social sharing services. 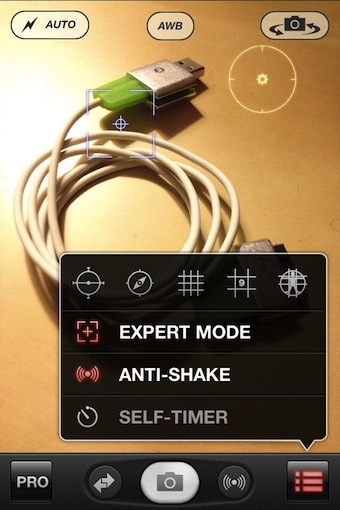 Outside of the quick access tools via the camera view, ProCamera offers several screens list of items that you can adjust to get the tools to work the way you want them to. 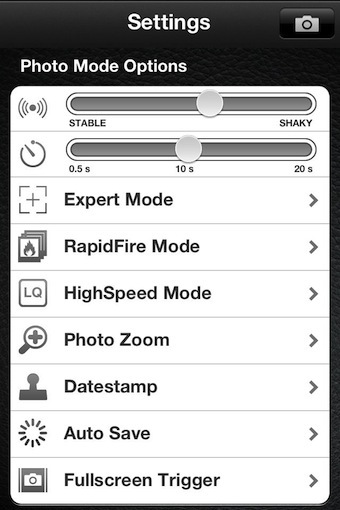 Choose the level of stabilization checking, turn on/off the volume button as a shutter release, adjust what additional data is saved with each photo taken, select framing for videos shot through ProCamera and to use Expert mode or not… just a few in the list to get the iPhone camera working for you rather than you adjusting to it.